Watch "IZ Hawaiian Ukulele Music DVD Video"
go to "Hawaii Ukulele DVD Song Tracks"
Listen to "IZ Hawaiian Ukulele Music DVD Video"
Music excerpts from the "Island Music Island Hearts" Hawaiian Music Video"
by Hawaiian recording artist "Israel Kamakawiwo'ole"
"Israel IZ Kamakawiwoole" has garnered international recognition for his Music that has made him a superstar among Hawaiians or as "IZ" liked to say; "Hawaiians at heart..."
by Hawaiian recording artist "Israel IZ Kamakawiwoole"
"Island Music Island Hearts" DVD Video presents live performances that capture IZ as he begins his solo career and provides everyone an opportunity to share in this heartfelt Hawaiian Music Video presentation. Izzy is joined by friends in this two Concert series as he performs with his solo ukulele on beautiful Waimanalo Beach on the island of Oahu as well as in a live performance at the historic Miloli'i fishing village on the Big Island of Hawaii. Featured DVD Music Videos Songs include: White Sandy Beach, Maui Medley, Kamalani, Men Who Ride Mountains, Green Rose Hula, Hokule'a Star of Gladness, E Ala E, Henehene Kou Aka, Ua Mau, Margarita, Ka Pua U'i, Pupu O Niihau, and Hawaii Aloha. IZ performs all his songs on his beautiful acoustic ukulele. Experience this extraordinary talent and legendary Hawaiian Musical artist up close and personal. To listen to Israel Kamakawiwoole's > Hawaiian Music CD & DVD Videos, touch any "Hawaiian Song" text-link on any DVD Video album cover posted on this page to transport to Downloadable Free Music tracks of your choice. Listen to Free Downloadable Music, "Free Downloadable Songs" & "Play Music Tracks"
Israel IZ Kamakawiwoole was a native Hawaiian, who upon his death on June 26, 1997 of respiratory failure due to his immense size, (at the age of 38), was only the second citizen to receive the honor of having his body lay in state at the capitol building in Honolulu Hawaii. Israel IZ Kamakawiwoole is remembered fondly in Hawaii and throughout his worldwide fan base as much more than just a singer, song writer and composer. IZ sings original Contemporary Hawaiian Music in the native Hawaiian tongue and performs his beautiful ukulele song using his solo tenor ukulele to accompany the gentle purity of his golden smooth and passionate voice which covers an extraordinary range of vocal octaves. Israel "IZ" Kamakawiwoole's Biographical highlights including an overview of the Hawaiian artists significant milestones and artistic accomplishments up to his untimely death at the age of 38 in 1997, are featured on the timelined chronological biography of the life of "IZ" and may be accessed at the "Israel Kamakawiwo'ole Biography Highlights" website. 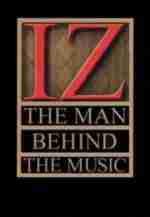 Also be sure to visit the "IZ Memorial Tribute" website. For the Hawaiian Music Song Lyrics to many of IZ's Hawaiian songs including "Somewhere Over The Rainbow" visit our "Hawaiian Music Song Lyrics Directory" and the Hawaiian Music Lyric Links Directory. "Facing Future" is the CD Music album that garnered "IZ" international recognition and made him a superstar among Hawaiians or as "IZ" liked to say; "Hawaiians at heart..." His music was featured in last year's "Superbowl Half-time Show" and on the popular television series "ER". His heartfelt and dreamy rendition of the "Some Where over the Rainbow" & "What a Wonderful World Songs" have also been heard Internationally in the movies; "Meet Joe Black", "Finding Forrester" and "50 First Dates". 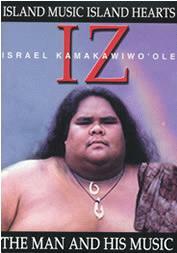 These presentations have resulted in "IZ" becoming the bestselling Hawaiian Artist of all time. Izzy's Hawaiian Music Lyrics, Hawaiian Music News and local Hawaiian Artist Links are featuring along with "Somewhere Over the Rainbow Song Lyrics" which are offered on these pages for your enjoyment. 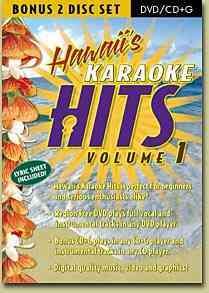 To listen to Israel Kamakawiwoole's Hawaiian Music & DVD Videos simply touch any CD-DVD album cover to transport to Downloadable Free Music tracks. Listen to Music on MP3, Real Audio or WindowsMedia Free Music Players with free download links provided on all pages. go to the "IZ Hawaiian Music Video DVD Listening Station"
"IZ Hawaiian Music CD Song Listening Station"